Bushra looks super pretty in her feminine look! She pairs her striped top with a black skirt and black heels. She keeps her accessories to a minimum and voila! 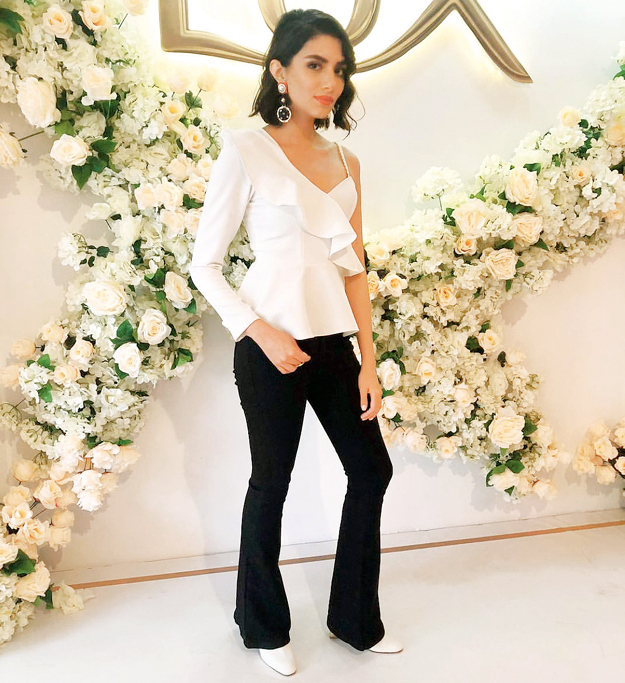 Mahira dons an all-white ensemble by Sana Safinaz and we love it! MK goes for a chic look in a draped sleeveless top and flared pants. Always a super star! Zara always stands out with her fun outfit choices! She wears a cute off shoulder strappy top, with boot cut pants, statement earrings and white boots. Très chic! Najia looks chic in a monochrome striped dress that she has accessorised to perfection with a Gucci belt and a pink clutch bag. 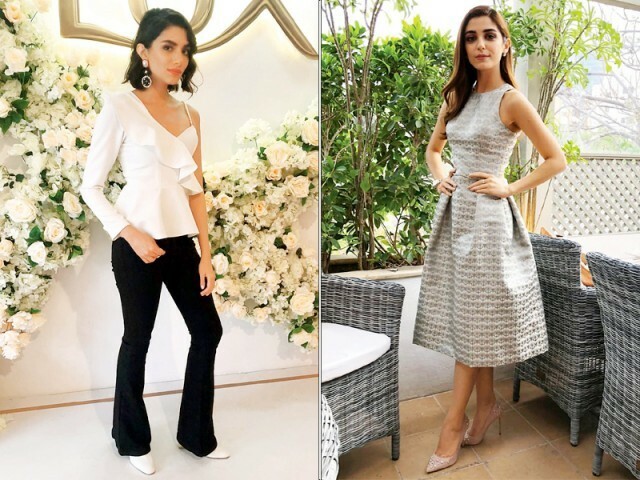 She keeps it simple in footwear with white block heels along with fuss-free hair and make-up! Maya exudes old-world Hollywood glam in this flared gray coloured dress. She lets her outfit do the talking with simple accessories and fuss-free hair and make-up!